One of the biggest complaints against illegal immigrants is that they are a drain on the system – sucking public resources away from legal, taxpaying citizens. And local advocate groups for illegal immigrants aren’t doing anything to help disprove this concern. In fact, their latest actions seem to validate it. According to the Associated Press, immigrant rights groups are gearing up a major lobbying effort to demand more money for a Colorado program that issues driver’s licenses to illegal immigrants. Their gripe? The line is too long. 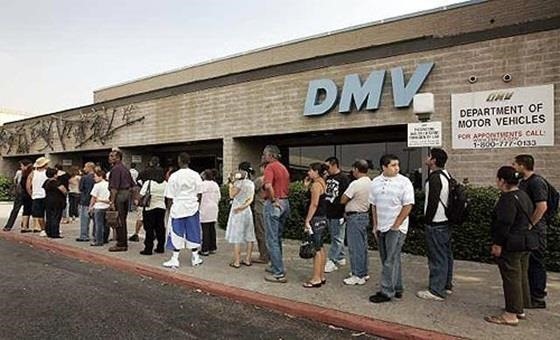 Not that it’s surprising illegal immigrants are complaining about waiting in line to get a specialized driver’s license. After all, they weren’t willing to wait in line to get into our country in the first place. The program itself has been highly controversial, having been forced through the legislature by Democrats two years ago. Yet even though immigration advocates got their win, they can’t stop asking for more. In our opinion, that’s no way build support for your cause. We have bigger funding priorities in our state right now than making lines shorter for people who should just learn to wait for their turn.